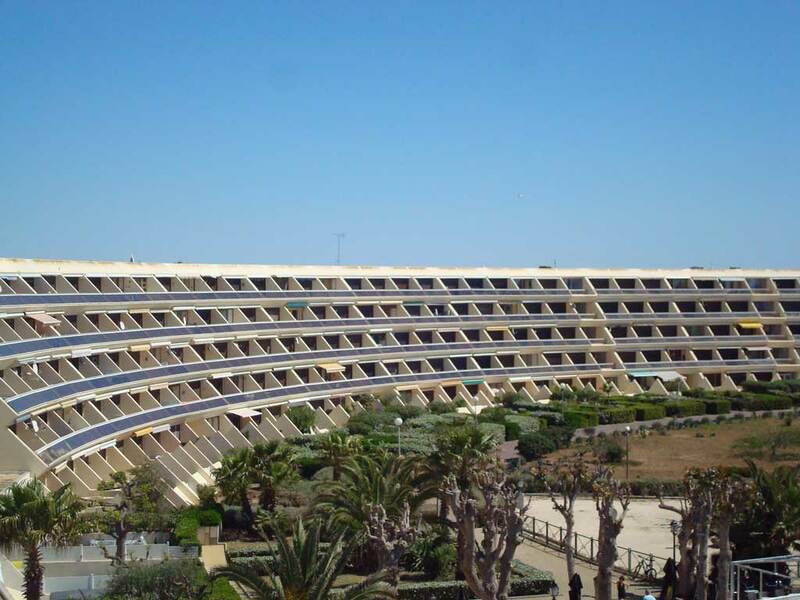 The Studio “Les Matelots” is located at residence PORT NATURE Colline IV on the 5th and last floor. 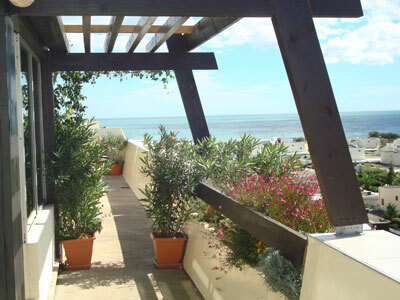 The flat surface is 18 m² and has an 8 m² terrace with beautiful view of the sea. The studio “Les Matelots” is open to all and throughout the year. Bookings open on 1 October of the year preceding the reservation. Dogs are allowed in the village if they are leashed not noisy and that teachers know keep the cleanliness of the village! However they are not allowed on the beaches. At the Naturist Village of Cap entrance, you need to go to the reception located on the small parking lot before the access barrier, show your ID and the rental contract to get the access card to the naturist village ( about 20 €). Then, you call us and we will come to get you. You have a dedicated secured parking in front of your building. 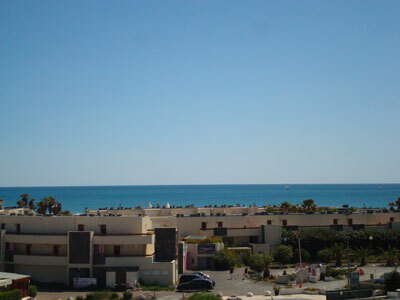 Located in the Naturist Village of Cap d’Agde in the HELIOPOLIS FGH residence on the 4th floor overlooking the sea. This apartment surface is 31 m² and has two 8 m² terraces. The apartment the Marquis is equipped with air conditioning, a kitchen with hob, fridge, microwave, coffee maker, all necessary dishes and a washing machine. There is also a safe to put your valuables, a TV including French TNT channels and foreign channels and HIFI. The HELIOPOLIS FGH residence has a shopping center with supermarket and shops as well as cafés and restaurants. We are 100m away from the beach and close to the nightlife of Cap (Port Nature) neighboring residence. Our flats are located in the heart of the naturist village near shops and nightlife establishments. They are 100m away from the beach: when you arrive at the beach facing the sea you are on the naturist beach “families”. To reach “La Baie aux Cochons” you need to walk on the left. After “La Baie aux Cochons” the gay beach and dunes. 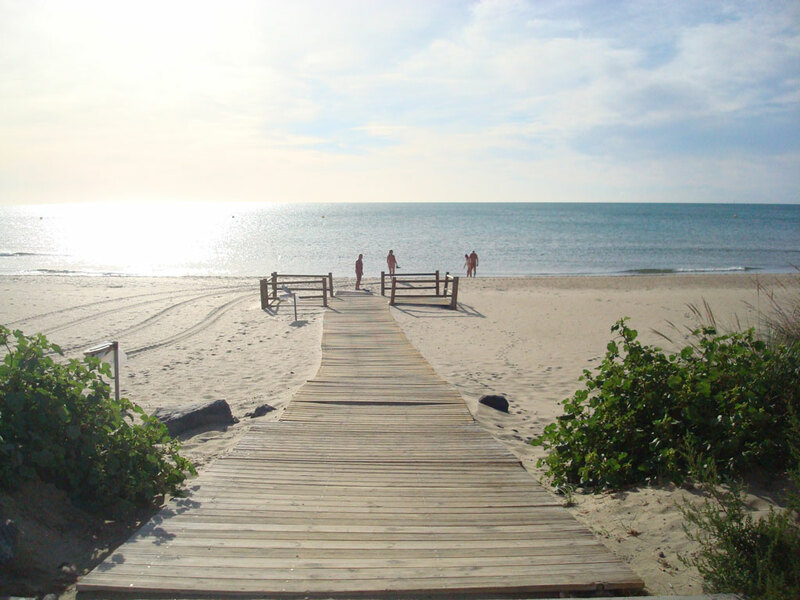 Le Cap d’Agde is the first Mediterranean naturist destination. For holiday lovers in harmony with nature, it inspires the naturist spirit, encouraging respect in a preserved wildlife. It offers various shopping centers located in each building: HELIOPOLIS, Port Ambonne, PORT NATURE, many small restaurants by the sea or in the center. For nightlife, you will find a particularly “naughty” atmosphere just by strolling through the center, in the various bars and nightclubs. Take a note for gay bars: “Ark”, “Look” and “QAKC” nightclub.